Get transported along Denmark's roads in ease and comfort with 8Rental reliable chauffeur service! Irrespective of your route, the purpose of traveling, as well as the number of your travel companions, we shall let you enjoy every city or region of this magnificent country. 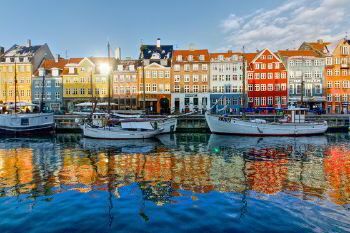 Hire a car with driver in Denmark to explore the fabulous mixture of historical and cultural heritage, rich architecture and fantastic modern entertainment facilities. Booking a chauffeured minivan from this service, you will know there is a professional driver waiting for you outside the club, restaurant, theater or any other building irrespective of the time. Even if it's already dark outdoors and you are drinking in a pub with friends, the chauffeur you book from 8Rental car supplier in Denmark will drive all of you to your hotel safely and quickly. Our services are at your full disposal, just stretch your hand and take it! As one of the leading and most trustworthy chauffeured services in entire Europe, 8Rental has a series of advantages to offer all its clients from all angles of this huge world. Just rent a vehicle with driver in Denmark in advance to have the car you book meet you at any airport of the country. 8Rental can send its cars, minivans, and coaches to Copenhagen Airport, Aalborg, Billund, Læsø, Aarhus, Sønderborg, Karup and Odense airports. All the vehicles of our service are in perfect condition equipped with any amenity you can find necessary for traveling in chic and comfortability. If you have arrived in a city of Denmark on business and need a premium car to appear respectable in front of your business partners, 8Rental suggests booking a luxury Audi A6 or a Mercedes E Class vehicle. Any of these cars will make your driving in the country incredible! 8Rental offers cars in standard (for clients with a limited budget), business (for business travelers) and first (for passengers used to luxury) classes. Just the same way, you can hire a standard or business minibuses for having your entire family or group of travelers driven in complete comfort. Contact 8Rental car rental with driver service and pick up a Mercedes V class, Mercedes Viano, Mercedes Sprinter vans that will accommodate up to twenty-four passengers! However, if you need an even larger vehicle, you can still freely rely on 8Rental! Rent a luxury coach with driver in Denmark to travel with up to sixty-five passengers! Our buses are "armed" with such specifications as toilets, fridges, TVs, premium audio systems, air conditions, etc. Book a Mercedes Tourismo if you are organizing a tour for tourists in any city of Denmark! Anyway, if you can't find the vehicle you need to book, don't panic but contact our service. Be sure our CS operator will find the best solution to meet your requirements! We are always ready to serve you! What 8Rental can be proud of is its professional staff of workers. 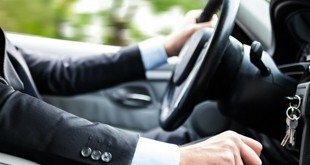 We have employed exceptionally licensed and experienced drivers who have spotless recommendations from their previous employers. Our chauffeurs are real experts in passenger transportation! They are reliable, skillful and ready to meet your needs. 8Rental has not only Danish but also German, English, Russian, Spanish, French speaking drivers. Choose the one that speaks your language. On this day of high competition of services, 8Rental couldn't have become the leading car rental service in Europe by merely providing premium cars and acknowledged drivers. Our service has a number of bonuses our customers find greatly profitable. For instance, medical insurance for all the passengers while being driven in our vehicles is provided for free. Just the same way, 8Rental will supply you with fuel. Besides the flexible pricing system, 8Rental also provides impressive discounts for its constant clients. Hurry to book your car and experience the whole benefit of dealing with 8Rental! 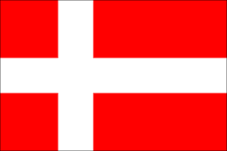 Northern European country Denmark borders on Germany, Sweden, and Norway. This is a highly developed country which welcomes around nine million tourists every year! These people come to admire the multiple tourist attractions of Copenhagen, Odense, Aarhus, Aalborg, Svendborg, Frederiksberg, Randers, Horsens, Kolding and other cities. Booking a chauffeured car from 8Rental, you will be able to admire all the sights without haste or the troubles you can't escape traveling by public transportation. 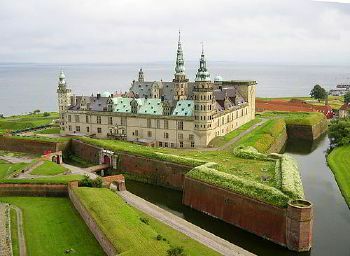 So, once in Denmark, plan to visit Christiansborg Palace Rundetaarn, Tivoli Gardens, the Little Mermaid bronze statue, Rosenborg Castle and other places of interest. Remember that this is a country of amazing sight in all directions.